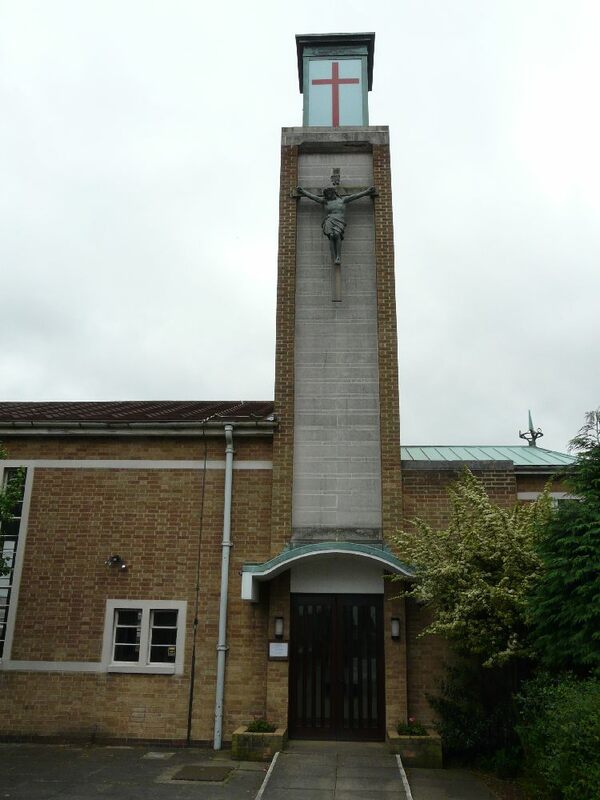 Near Enfield Lock station, it is a 1969 replacement by Romilly Craze for a war damaged church. 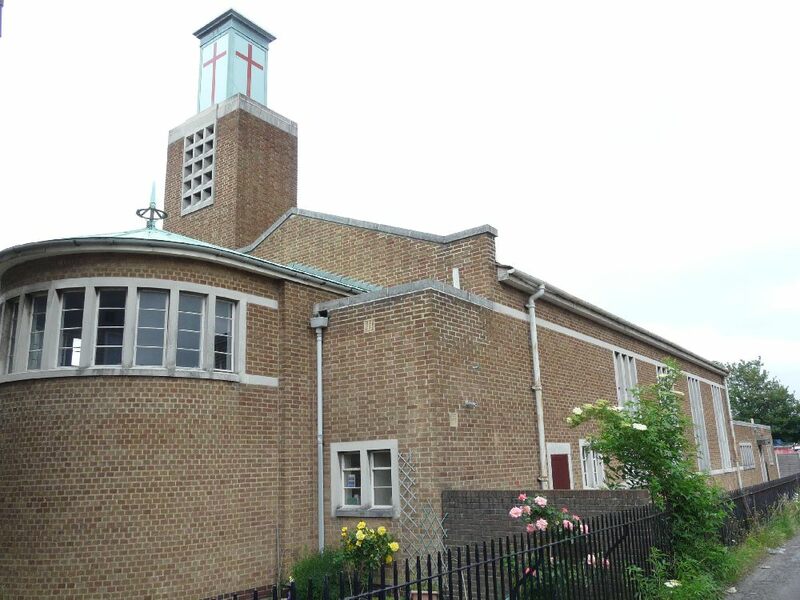 The reredos was designed by William Lethaby and was formerly in the Harrow Mission church which is now a community facility in west London near Ladbroke Grove. 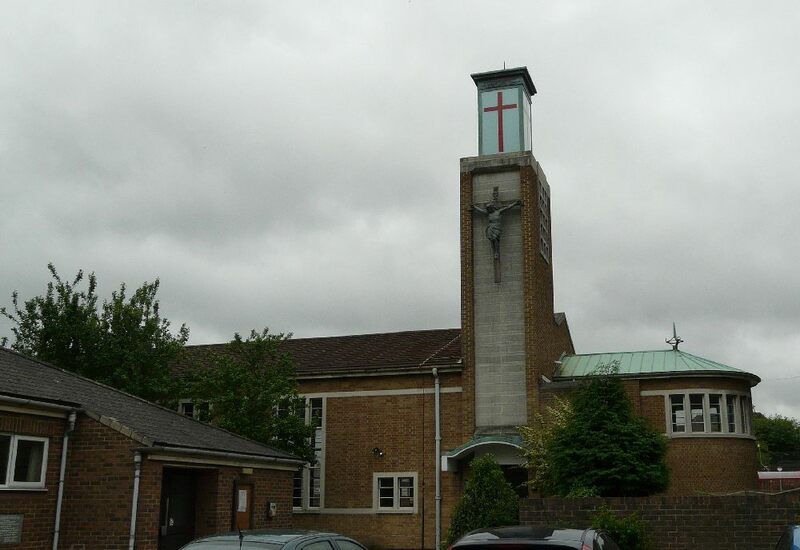 By zoothorn in Craze, Romilly, Enfield Lock, Lethaby, W.R., London Borough of Enfield on June 15, 2013 .